Getting a pap smear in Holly Springs, NC is quick and easy with FastMed’s family practice services. We understand that routine exams don’t always fit into your daily schedule. That is why our walk-in clinics open early and close late 365 days a year, no appointment necessary. Getting a regular pap smear is an important part of maintaining good gynecological health. Pap smears are done to look for changes in the cells of the cervix. Any abnormal changes could point to dysplasia, human papillomavirus (HPV), or cervical cancer. How often you get a pap smear depends on your age. It is recommended that women ages 21 to 30 receive a pap test every 3 years. If you are under the age of 21, but are sexually active, it is a good idea to speak with a medical professional about pap tests and STD testing. Women ages 30 to 65 should also have a pap smear every 3 years, or have a combination HPV and Pap test every 5 years. If you are over 65 you may be able to stop having pap smear, but you should talk with a medical professional about what is right for you. Women of any age who receive abnormal pap smear results may need more frequent testing. Getting a pap smear in Holly Springs, NC, is quick and easy! Getting a pap smear at FastMed in Holly Springs, NC is a fast and convenient alternative to scheduling an appointment at a doctor’s office. The procedure is quick and virtually painless, and our medical professionals can answer any questions you have before it begins. 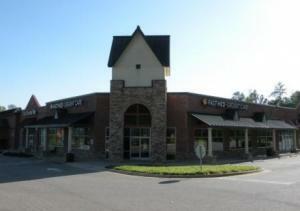 FastMed in Holly Springs is open from 8am to 8pm during the week, and 8am to 4pm on the weekend.